Sometimes, swallowing disorders can leave you unable to communicate, eat comfortably, or even take your medications. That’s why Carroll Area Nursing Service provides in-home speech therapy that is convenient and will improve your quality of life. Our speech therapists are specifically trained to help those with speech and swallowing disorders, but even more than that, they truly care about their patients and thrive on seeing them grow. 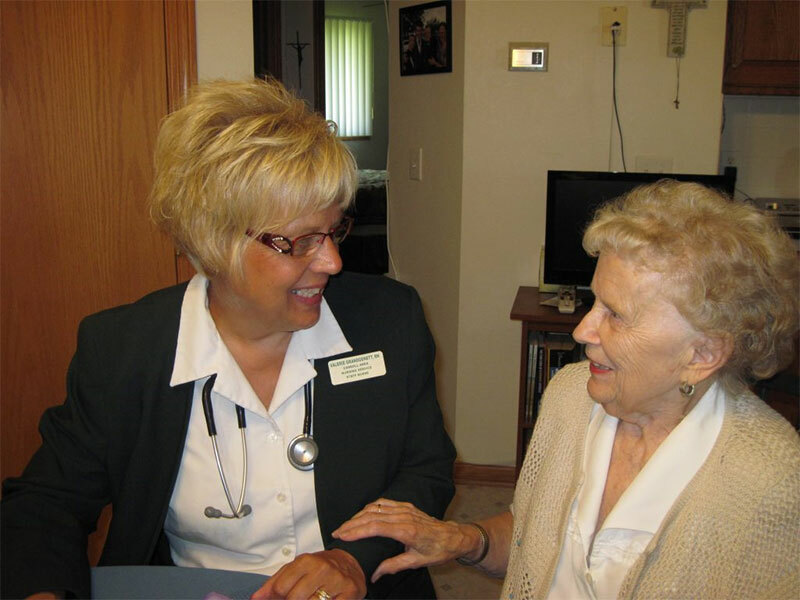 If you live in western Iowa, contact us today to learn more about how we can help you or your loved one. If you or a loved one has a medical condition that affects swallowing or communication, contact us for comfortable, caring, and convenient in-home speech therapy services. We really appreciated the care and concern of all the nurses who attended us; they were a real ray of sunshine coming into our home. Very knowledgeable and able to answer any questions we had. Your staff was excellent. Thanks to them for helping me to be able to stay home. I was very pleased with them all. Everyone was great and made my recovery go so much faster and better. Thanks to all of you.